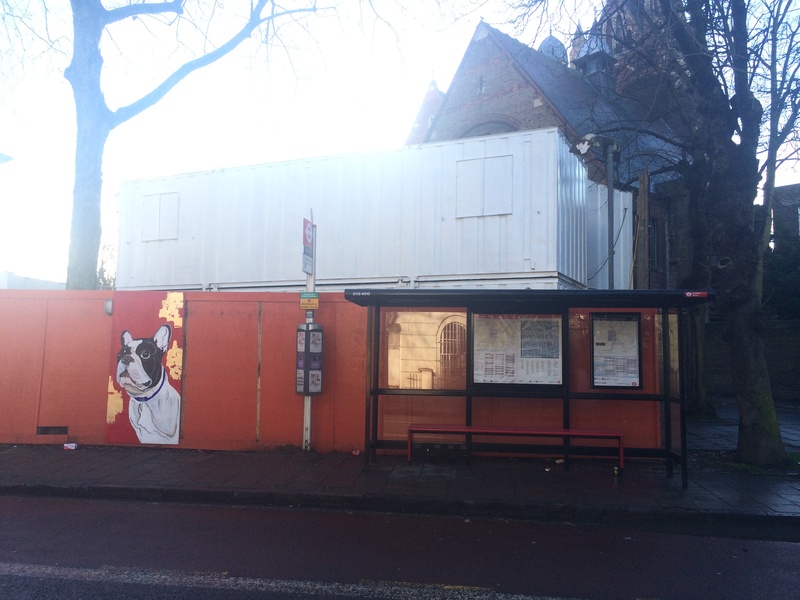 After several months of painting and wrangling with a local building site, Alex’s Dog Mural finally saw the light of day and was secured in position for world (and those waiting at the 271 bus stop) to see. The image drew smiles from people on the bus & those walking past. 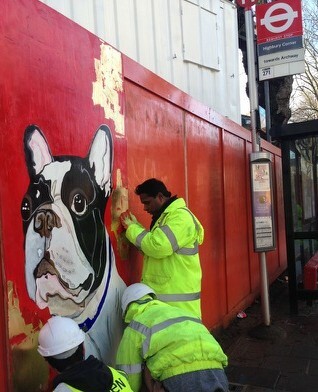 The mural can be seen on Canonbury Road, Near Highbury Corner. and more work by Alex and the rest of Ten Feet Away art group can be seen on this site.